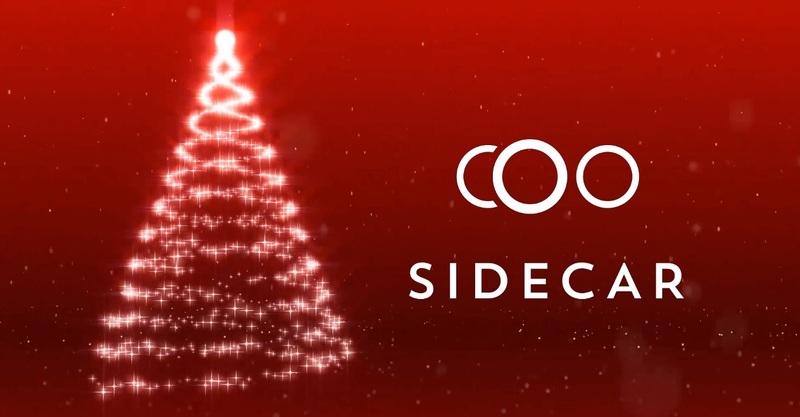 Wishing you a very Merry Christmas and Happy New Year from your SIDECAR Team. /wp-content/uploads/2017/01/sidecar-logo-main.jpg 0 0 cole@sidecaredge.com /wp-content/uploads/2017/01/sidecar-logo-main.jpg cole@sidecaredge.com2018-12-22 21:10:032018-12-22 21:11:05Merry Christmas! Here we are once again in the mass consciousness called the holidays. Several years ago Tom Grisham wrote a delightful book entitled “Skipping Christmas” and it was made into a fun comedy starring Tim Allen. In the movie, Tim Allen talks his wife into leaving the cold weather and the holiday hassle to head for the islands. Skipping Christmas meant leaving the holi-daze brought on by parties, presents, decorations and the rest. Read the book or see the movie I won’t spoil the fun for you! Our point is this, regardless your personal beliefs about the season, you will be swept into it because you touch the lives of so many people and they leave a mark on you. As the leader in your family and your business you need a personal and professional plan to thrive this year and to set the tone for an affluent next year. We know your plate is filling up with family fun and social events. Your personal memories of this season flood your brain with good and sad. So,‘tis the season for you to be VERY focused, VERY serving, VERY energetic! Start with good sELF care. Get your rest, eat well (cheat a little too), make sure you exercise (you can cut back 40% and still be good). Then, take care of your staff. Remember, they have families and their plates are really full, so no practice building rants or office meetings! A party outside of the office is always a good idea. Take special care of your patients. They will show up with a seasonal syndrome that was coined by Dr. Douglas Sea as the “ING Syndrome”. Too much wrappING, partyING, spendING, shoppING, eatING and visitING! And remember to take care of the college kids who are back in town, they need it! How about opening your door and allowing the visitors who are in your community to get in for an adjustment. Make your new patient process hassle free and only do the essentials. I’ll bet you can refine and define the new patient exam and report to accommodate them. And finally enjoy yourself! End on a high note and you will begin the next year on a high-ER note! https://www.sidecaredge.com/wp-content/uploads/2018/12/erin-walker-479735-unsplash.jpg 1489 2233 cole@sidecaredge.com /wp-content/uploads/2017/01/sidecar-logo-main.jpg cole@sidecaredge.com2018-12-09 23:34:522018-12-09 23:34:52Thriving Through The "Holi-Daze"
Eclipse 2017: Small Talk or Suite Talk? Unless you were living on another planet, you have been exposed to the hype regarding the Eclipse of 2017. In fact, I am sure you had the opportunity to chat about it or had been asked about it by countless patients and friends yesterday. You maybe even took a few minutes out in the parking lot to observe. My question is this: did you turn this opportunity into a SMART Talk conversation, a Small talk conversation, or did your Eclipse discussions erode into the ether of Flat Talk? One of the busiest days in my practice occurred after a 3-day airshow. 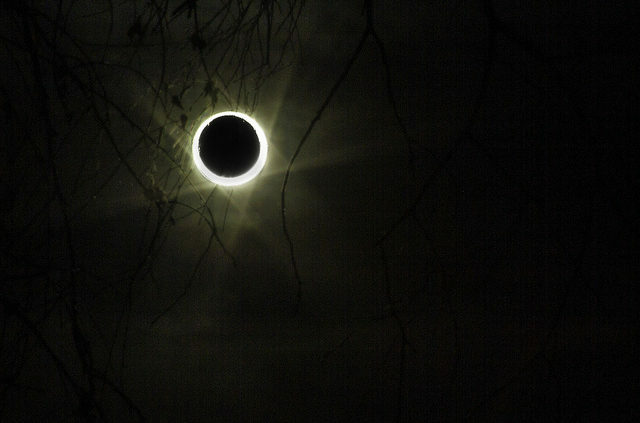 There were tens of thousands of spectators in the audience…..all staring into the sky! Many developed neck complaints. By my 10:30 cluster I could pick out the attendees just by their neck complaints and head carriage. They thought I was psychic when I asked them how they liked the airshow. Their first response became: “How did you know I was at the airshow?” My response: You are the 10th person I’ve seen this morning with a neck like yours!” Smart Talk: misery loves company. The same phenomena occurred as with the blizzards https://francepharmacie.fr/acheter-generique-viagra/. Today bring some elliptical SMART Talk into your practice and see if you have some more neck conditions that need your expert care. https://www.sidecaredge.com/wp-content/uploads/2017/08/7238369416_859cddfe70_z.jpg 427 640 Mandy Lawler /wp-content/uploads/2017/01/sidecar-logo-main.jpg Mandy Lawler2017-08-22 12:32:442017-08-22 12:33:49Eclipse 2017: Small Talk or Suite Talk? Have you ever felt like there just wasn’t enough time in the day to accomplish everything you set out to do? Everyone has the same amount of time. Barring any event that reduces or ends the amount of life someone experiences, time is constant. As long as you and I are both alive, we’ve got the same amount of time. According to the Bureau of Labor Statistics, the average person spends three hours per day watching T.V. Three hours per day equates to 21 hours per week. This ultimately adds up to 1,095 hours per year! 12.5% of an entire year spent watching T.V. What about time spent on your cell phone? Social Media, Messaging, Internet usage… Most reports done show that the average person spends around four hours per day on their phone! The point that I’m trying to make here is this: You have plenty of time to accomplish what you truly want to accomplish. The average person spends 12.5% of each year watching television. If you are feeling pressed for time and constantly find yourself “running out”; re-examine exactly where you are allocating your time. The key to improving your efficiency and ultimately growing is through subtraction. Success is never about adding; it’s always about subtracting! Subtract anything that is not aligning you closer to your vision. 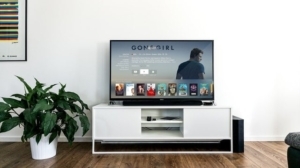 Eliminate the wasteful screen time spent on TV or your cell phone. You might be thinking, “I don’t waste time!” My response? Business does not equal productivity. If you feel you are being efficient with your time but still don’t have enough, examine the tasks you are performing. A great principle that we teach at SIDECAR is the one-minute principle. This principle helps to identify exactly how much time you may be wasting in your day. Taking inventory of your time will help to expose growth areas. Here’s some perspective: every great idea, product, event, or thing that has ever occurred on this Earth stemmed from a person who had the same amount of time that you do! You have plenty of time. Start making the most of it. To find out more about the one-minute principle and how to apply it to your business give us a call at 1-877-727-2705.
https://www.sidecaredge.com/wp-content/uploads/2017/07/206625157_f305f4bf15_b.jpg 683 1024 Mandy Lawler /wp-content/uploads/2017/01/sidecar-logo-main.jpg Mandy Lawler2017-08-07 17:22:252017-08-08 15:53:44There’s Just Not Enough Time! Becoming a better leader isn’t an overnight process. Following the Hierarchy of Leadership has helped me to enhance my leadership capabilities. Leadership is a hot topic in the world of entrepreneurship and personal development. Many people have the desire to become a better leader, but do not have a plan in place to turn their thoughts and dreams into reality. The Hierarchy of Leadership can be utilized as a ladder to becoming a better overall leader. The hierarchy of leadership is as follows: lead yourself, lead your family, lead your team, and lead your community. This model is a progression, you will struggle to lead others if you first cannot lead yourself. If you desire to improve yourself as a leader, first examine your ability to lead yourself. Can you walk the walk? Are you able to execute on your own personal desires? Do you find yourself making excuses and justifying them with your actions? This is the foundation and most important component of leadership. Effective leaders are extremely self-disciplined, intentional with their actions, and self-aware of who they truly are. If what you want to achieve requires getting out of bed at 5 AM; you have to get yourself out of bed at 5 AM. After you’ve harnessed the ability to lead yourself, focus on leading your family. Those that surround you day in and day out! Whether this be your spouse, children, or other loved ones – develop the ability to lead them. Your family will expose more about you and your leadership abilities than any other demographic herenapotheek.nl. Your ability to communicate properly, make tough decisions, and lead day-in and day-out will be manifested in a family setting. Your team is similar to your family; in fact, you probably spend more time with them than you do your true relatives! The people you interact with everyday when you step foot in the office comprises your team. Leading your team requires developing and implementing a vision, mission, values, code of honor, and “We Believe” statements. Your ability to lead will be directly determined by your ability to get your team to buy-in and commit to honoring these values. Your ability to lead your team will determine your capability to serve those around you. The last step in the Hierarchy of Leadership is the ability to lead your community. By the time you’ve reached this point you should be confident and comfortable with your ability to lead. Leading in your community is simply an opportunity to extend your leadership skills elsewhere and serve. To an extent, if you’ve reached this level of leadership ability it is your duty to go out and lead the community you live in. Possessing this level of leadership is rare and doesn’t come by chance. Reaching out at this level will allow you to leave an impact greater than you may have imagined. Leadership isn’t easy and it isn’t for everyone. If you truly desire to become a better leader, examine where your leadership ability falls along the Leadership Hierarchy model. The best advice I can give? Start by learning to lead yourself. To learn more about Dr. Douglas Sea click here.